If you wish to compare Algonkian events click here. If you wish to read writer/agent/author reviews click here. If you wish to visit and review Algonkian events click here. If you wish to overview articles on advanced fiction craft click here. This workshop retreat is for writers at all stages, and the earlier the stage, the more the writer benefits. If we're working on story development, premise, appropriate narrative skills, and scene creation, for example, then the sooner you master these, the better for your novel, and for you as a writer. Also, why spend an extra two or three years on a development arc that won't work? Or a premise that won't sell? Why not proactively solve these critical elements, and in a way that will lead to actual commercial success? What is the Purpose of Algonkian? What's Your Secret or Strategy for Getting Writers Published? How To Know When My Novel is Ready for a Program or Event? How are Algonkian Events Different From Other Writer Conferences? Success Stories That I Can Review? Which to Attend First? Novel Writing Program, NYC Pitch or an Workshop Retreat? How Did Algonkian Get Started? How Does Algonkian Differ From MFA Approach? How Do Writers Interact With Publishers and Agents? To give writers in all genres a realistic chance at becoming published commercial or literary authors by providing them with the professional connections, feedback, advanced craft knowledge and savvy they need to succeed in today's extremely competitive market. What is Your Strategy for Getting Writers Published? A model-and-context pedagogy that utilizes models of craft taken from great fiction authors and playwrights, thereby enabling the writer to pick and choose the most appropriate techniques for utilization in the context of their own work-in-progress. Emphasis on providing pragmatic, evidence-based novel writing guidance rather than encouraging multiple "writer group" opinions and myths that might well confuse the aspiring author. 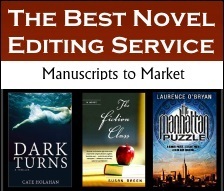 Our insistence that a writer's particular genre market must first be thoroughly understood and taken into consideration when it comes to the planning of the novel, and on every level from narrative hook to final plot point--thus clearly separating us from the MFA approach found at university programs like Iowa and Stanford. Our conviction that you were not born to be a good or great author, but that you stand on the shoulders of great authors gone before. Their technique and craft are there for you to learn, and learn you must as an apprentice to your art. Every success you achieve is based on hard work and evolving your skills and knowledge base. Our instructional and workshopping methods, as well as our pre-event assignments which we believe to be the best in the business. The novel is *always* ready to be examined and properly edited, no matter the stage, because the process always entails approaching story premise and execution in a manner that is unquestionably productive. In truth, it’s a process that should have begun when the work was first conceived. Therefore, the stage of the novel or number of years working on it is irrelevant. Any time is a good time to begin doing it right. How are Algonkian Events Unlike Other Writer Workshops and Conferences? No bells or timers - sufficient time for productive dialogues with faculty. MS and prose narrative critiqued by faculty only, not attendees (no MFA methodology). Comprehensive 86-page novel-and-fiction study guide. Small and relaxed groups that facilitate interaction. Extensive story and pitch prep before sessions with agents or publishers. Unique and challenging pre-conference assignments that focus on all major novel elements. Focus on market-positioning, high-concept story premise, author platform, and competitive execution. Superior in-shop writing assignments and story dissection. No inappropriate back slapping - emphasis on pragmatism and truth telling (btw, the market is tougher). No tedious lectures or Writing 101 panels. Faculty chosen for wisdom as well as compassion - no snobs or gratuitous cruelty. Do You Have Any Successes I Can Check Out? Which to Attend First? Novel Writing Program Online? NYC or a Algonkian Workshop Retreat? It is preferable to attend an Algonkian workshop or retreat event before the New York Pitch Conference. Why? Because it makes more sense to straighten out as many wrinkles in the novel as possible before presenting it to New York publishing. 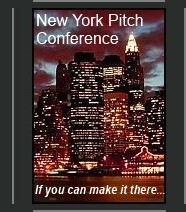 New York Pitch is considered top of the writer conference food chain. Even so, attendance at the NYPC is tremendously helpful to a novel writer no matter the stage of their manuscript. The ideal progression would be our Algonkian Novel Writing Program first, a workshop or retreat second, followed by the New York Pitch Conference. But all that can get pricey for a lot of writers. On a side note, we believe our Algonkian Novel Writing Program to be the best in the U.S. (online or off). 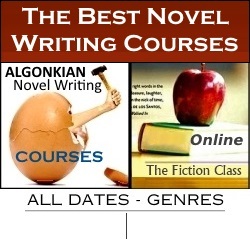 The Algonkian method is incorporated and enhanced into sixteen course modules that guide the writer a step at a time through the novel writing process. Writers complete the program at their own pace and at the conclusion their work is edited and reviewed by Algonkian faculty with an aim toward commercial publication. It's also a great choice if you need to go light on expenses. It's a huge value. 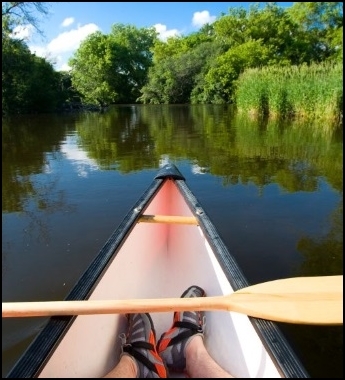 We held the first group workshop at Algonkian Park in Virginia, back in 2002. The name stuck. Then we began holding larger events, improving the method while adding on more faculty and network. You can find more information on our About page. Upscale and literary, memoir and narrative non-fiction, mystery/thriller and detective/cozy genres, urban fantasy, YA and adult fantasy, middle-grade, historical fiction, general fiction and women's fiction. Our agent and publisher faculty handle all genres. How Does Algonkian Differ From An MFA Approach? Algonkian emphasizes writing-to-get-published, creation in the context of heart, wit, and market knowledge. We teach writers to think pragmatically about the development of their ms while retaining their core values for the work. Our motto is "From the Heart, but Smart." College MFA programs do not prep a writer for the cold reality of the current publishing climate. Many of our most grateful writers are graduates of MFA programs. How do Writers Interact With Agents and Publishers? The model for the pitch is a "book jacket" the writer creates with the help of the workshop leader prior to the pitch session. The process is part of a longer evolution the writer begins even before arriving at the conference. Once the pitch is accomplished, the agent interacts with the writer in a Q&A session. The workshop leader then follows up with the writer to create a plan for publication, i.e., a step-by-step post-conference process the writer must undertake in order to stand a realistic chance of having his or her manuscript published. Writers are given several different types of relevant assignments, story and pitch models, as well as a considerable amount of reading on the subject of advanced craft that can be directly applied to their work-in-progress. The idea is to prep the writer before the event so they can hit the deck running and share with us a common language. As a bonus, the pre-event work saves wasting time with extra handouts.